Catch Peppa’s yawn! (And her FREE sleepover story.) Take a break from muddy puddles. It’s time for a jolly good snooze. What do you love even more than a cosy nap? 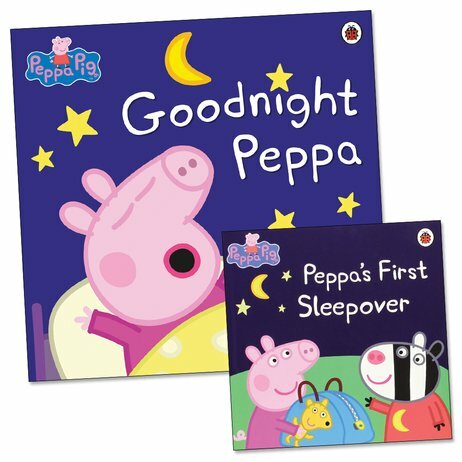 Well – how about two soothing bedtime stories about Peppa? A double dose of bedtime bliss to get you in the mood for sleepytime. In Goodnight Peppa, your favourite piglet is having trouble settling down. No problem: everyone will be fast asleep by the end of this funny story! Plus: how much actual sleep can you fit into the perfect sleepover? Zzzzz.